Dr. Raghu Ram was selected to deliver 'THE PANDALAI ORATION' for the year 2018 @ The annual Conference of Association of Surgeons of India (ASI) to be held in Chennai - Dec 2018. The Pandalai Oration is the most prestigious Oration & the highest academic honour bestowed by The Association of Surgeons of India annually to a Surgeon of outstanding eminence. Dr. Raghu Ram is the First & only Surgeon from Telangana / Andhra Pradesh to be chosen to deliver this coveted Oration since it was instituted in 1961. 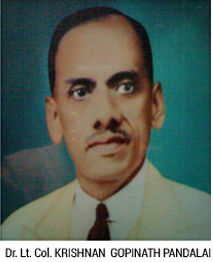 The Oration was instituted in memory of Col Dr. Pandalai, a legendary Surgeon who was born in 1885. He served as the founder President of the Association of Surgeons of India(ASI), the largest Surgical Association in South Asia that represents some 20,000 Surgeons across with Country.